David Divins, associate director at UNH's Institute for the Study of Earth, Oceans, and Space, brings significant scientific as well as management skills to the job. Since arriving at UNH in September, Institute for the Study of Earth, Oceans and Space (EOS) associate director David Divins has been busy facilitating, coordinating and communicating with the team of 50 researchers that comprises one of UNH’s most productive research units. But that doesn’t mean his scientific work is over. Divins, EOS’s first full-time associate director since 2012, is an oceanographer with three decades of research and leadership behind him and a Department of Energy-funded project ahead. That project, which aims to assess the potential fuel production capability of methane hydrates in the Gulf of Mexico, taps Divins’s deep experience in geomorphology and ocean mapping. Methane hydrates — methane trapped within a solid water matrix similar to ice — in the Gulf of Mexico could provide enough natural gas to power the U.S. for 250 years, but “it’s hard to know what the real volume is or how producible it is,” says Divins. The multi-year project will drill cores in the seafloor to recover methane hydrates and bring them to the surface for further study; Divins’s involvement will be in mapping and identifying drill sites and conducting field tests of coring equipment. Those are skills Divins has in spades: For the decade prior to his arrival at UNH, he managed the Integrated Ocean Drilling Project, now called the International Ocean Discovery Program, for the nonprofit Consortium for Ocean Leadership in Washington, D.C. 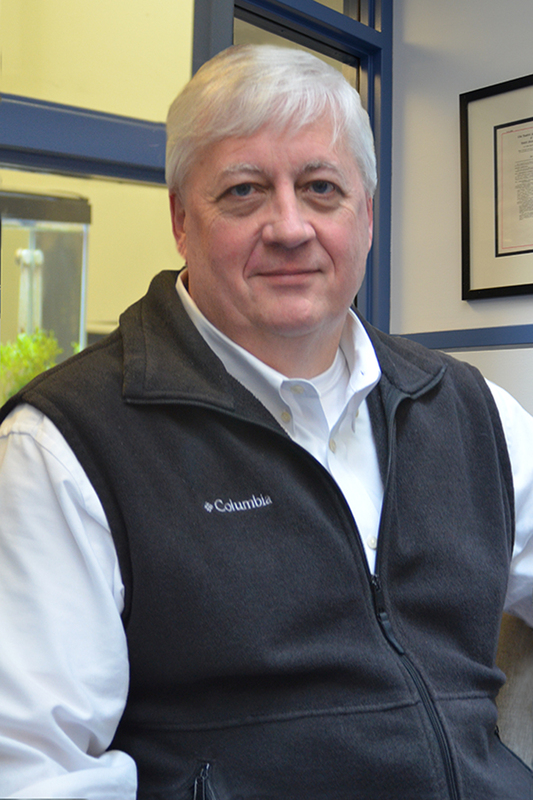 Prior to the Consortium for Ocean Leadership, Divins spent 16 years in Colorado, 11 as a research scientist at the University of Colorado Cooperative Institute for Research in Environmental Sciences and a five-year stint as a geophysicist at the National Oceanic and Atmospheric Administration in Boulder. The Framingham, Massachusetts, native holds a Ph.D. in oceanography from Texas A&M University. Divins calls his position at EOS “a melding of my science and management skillset.” In addition to liberating EOS director Harlan Spence, a principal investigator on several high-profile space projects, of the day-to-day operations of EOS, Divins has several strategic priorities in his crosshairs. He’ll draw on his ocean of knowledge as he tackles one of those priorities: helping the School of Marine Science and Ocean Engineering fulfill the vision on which it was founded in 2013.